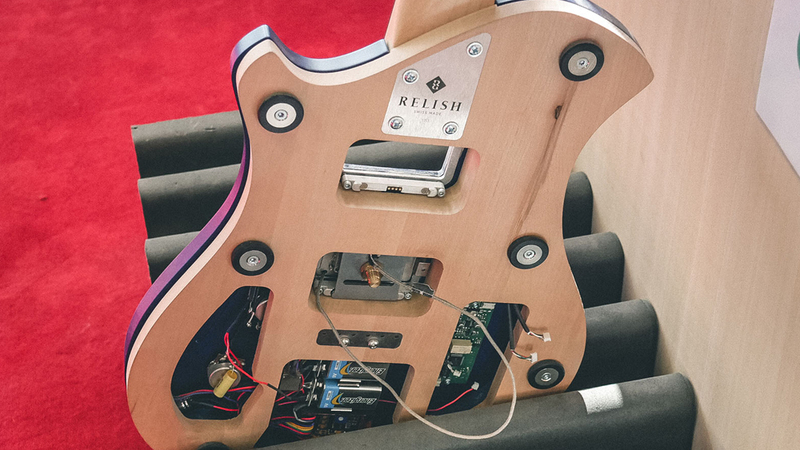 Relish Guitars is an innovative company using a combination of traditional and forward-thinking luthierie to craft some seriously unique instruments. 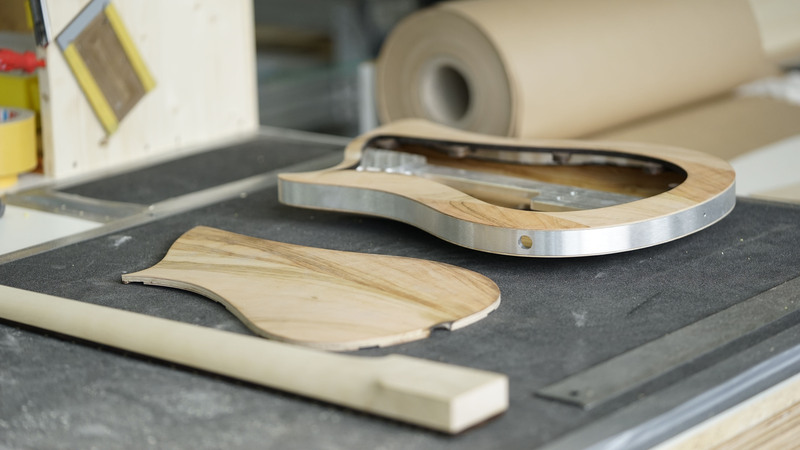 Their latest Jane models have a semi-hollow body, with two pieces of moulded wood veneer magnetically mounted onto an aluminum frame. 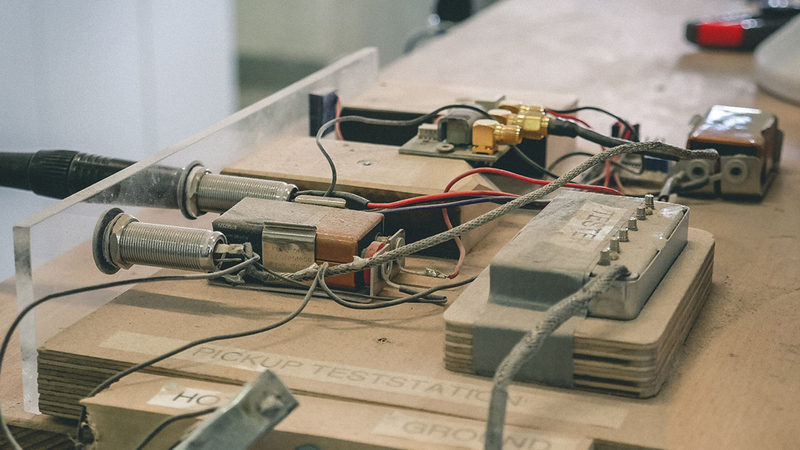 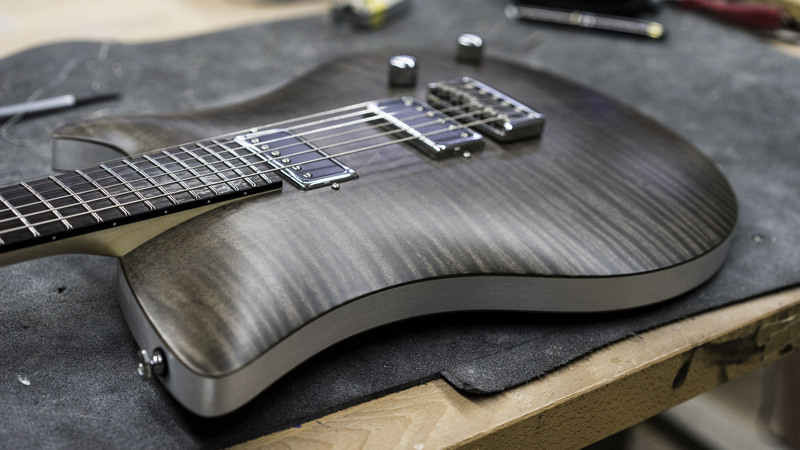 With a piezo pickup, two humbuckers, and a versatile "17-way" touch-activated pickup switching system, you can radically fine-tune your pickup configuration. 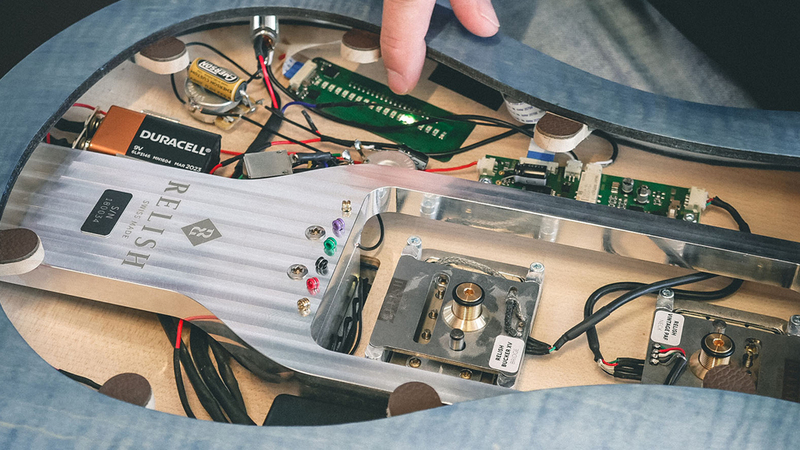 Stereo outputs let you split the piezo and humbucker signals. 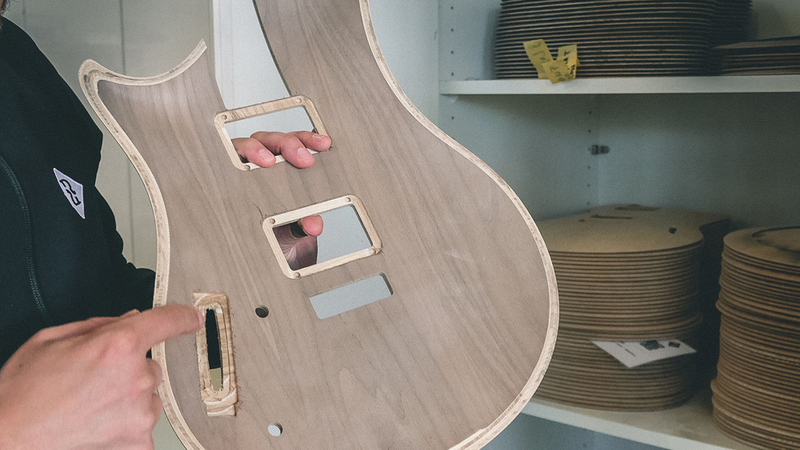 And if you want to switch out the pickups for something else, you can easily pop the veneer top off the frame. 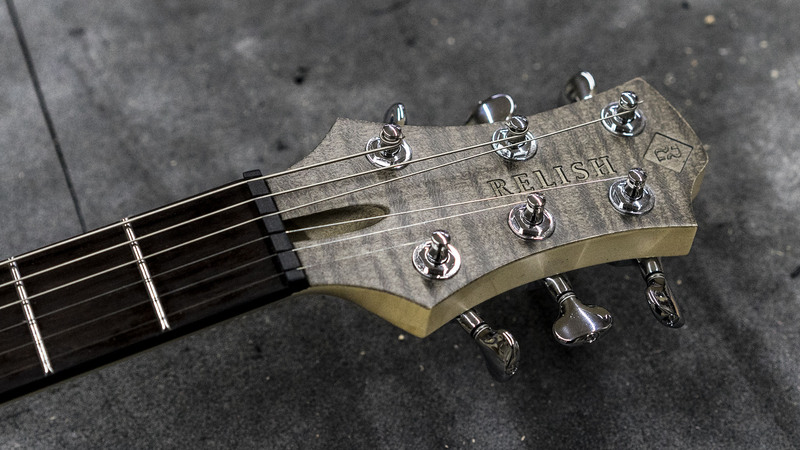 Relish's new Mary models offer similar sound and functionality at a lower price point, swapping the wood veneer for a different kind of magnetic veneer. 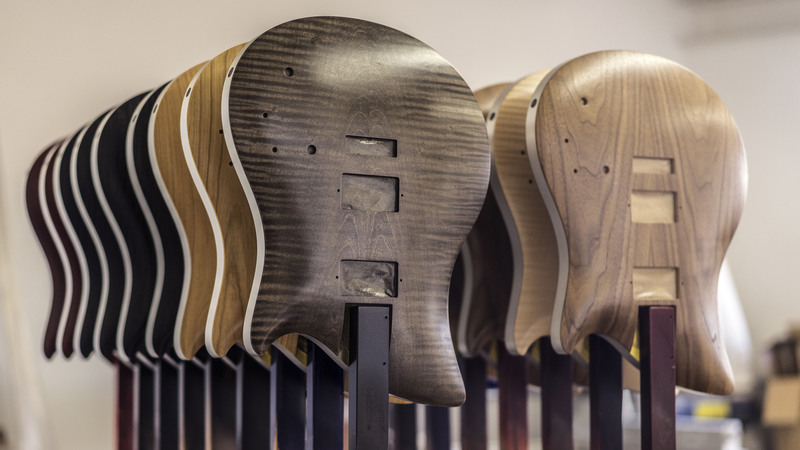 While older versions of both Jane and Mary models can be found with a more standard pickup selector switch, newer Marys will have the same 17-way touch-activated switch as the newer Janes. 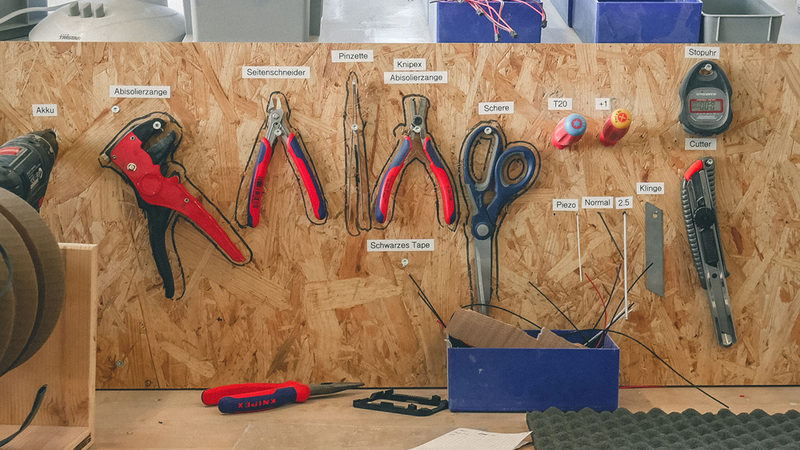 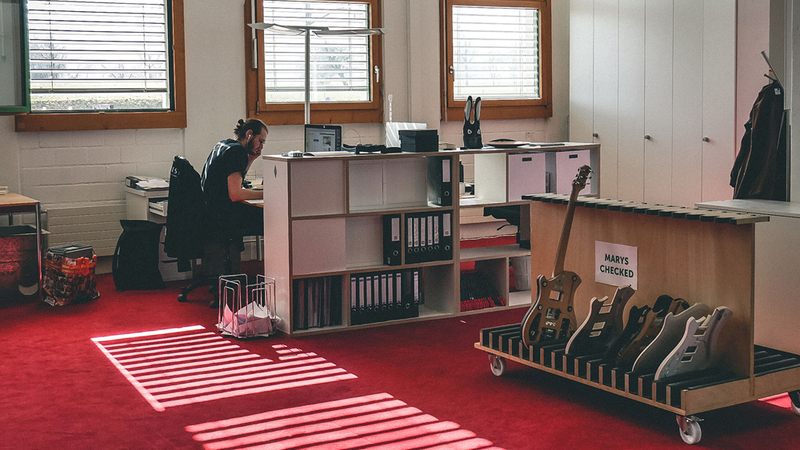 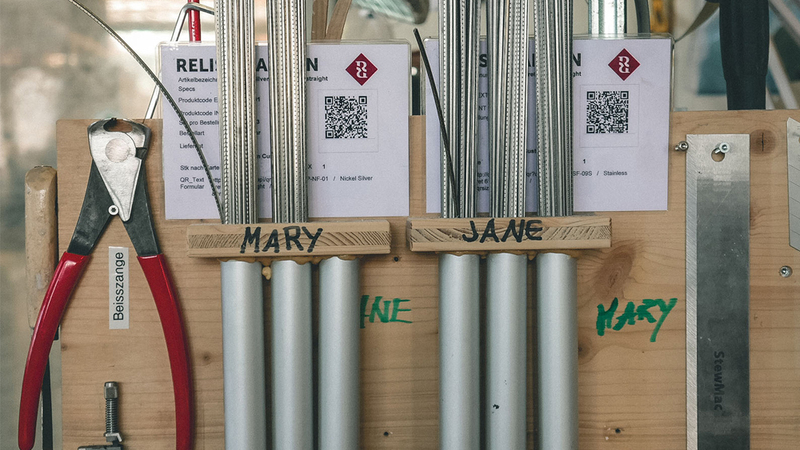 Recently, Reverb was able to get an exclusive tour of the Relish Guitars headquarters, located just 10 minutes outside Lucerne, a city in the heart of German-speaking Switzerland. 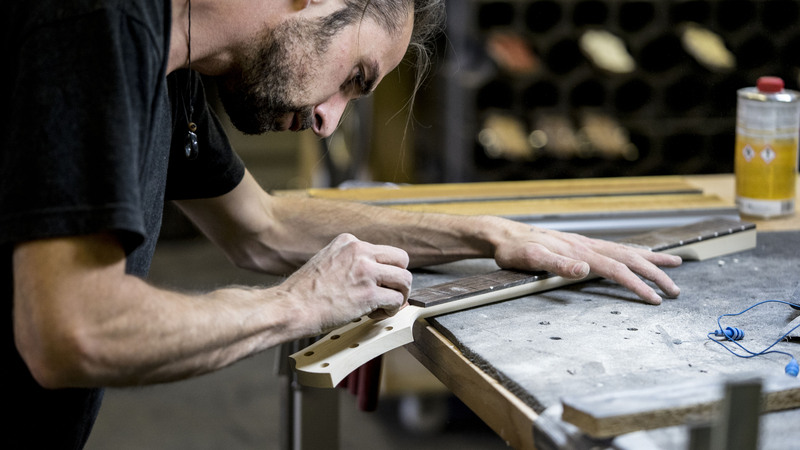 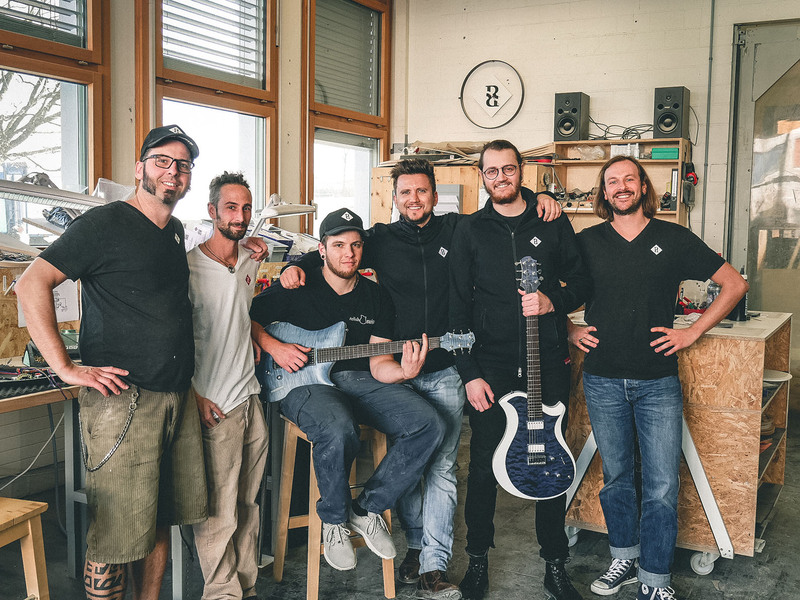 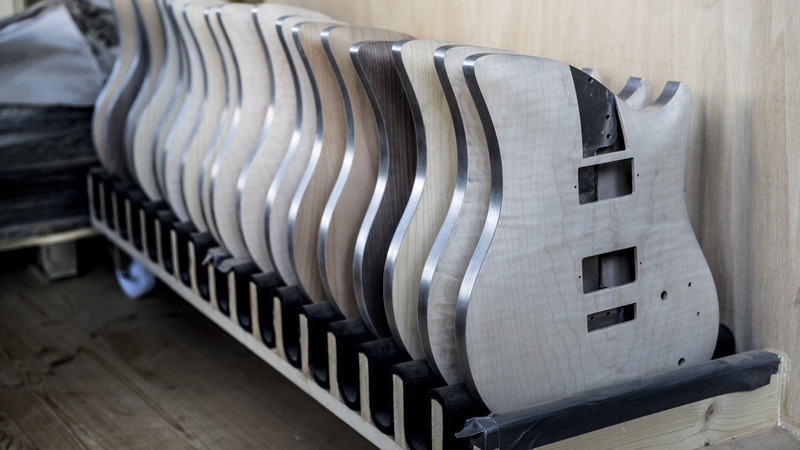 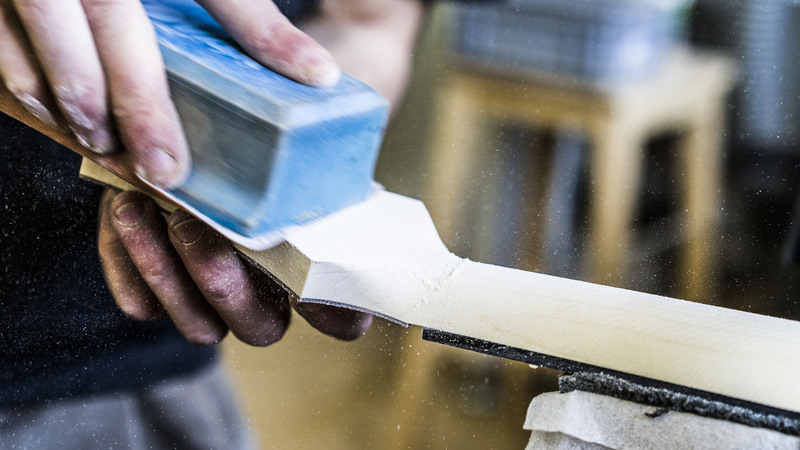 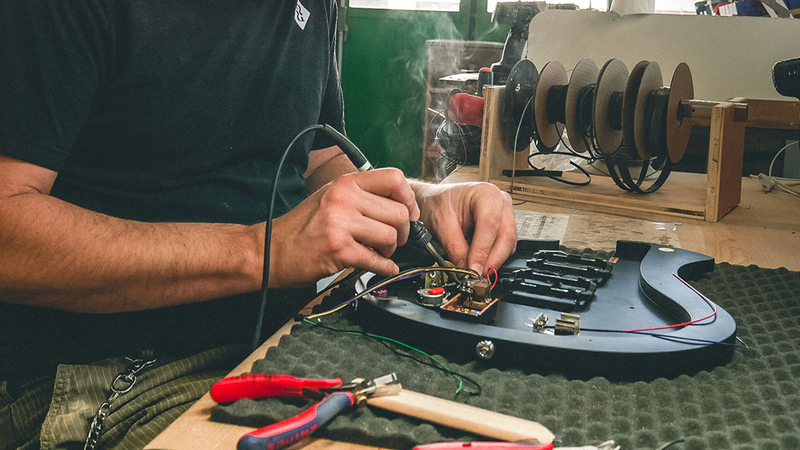 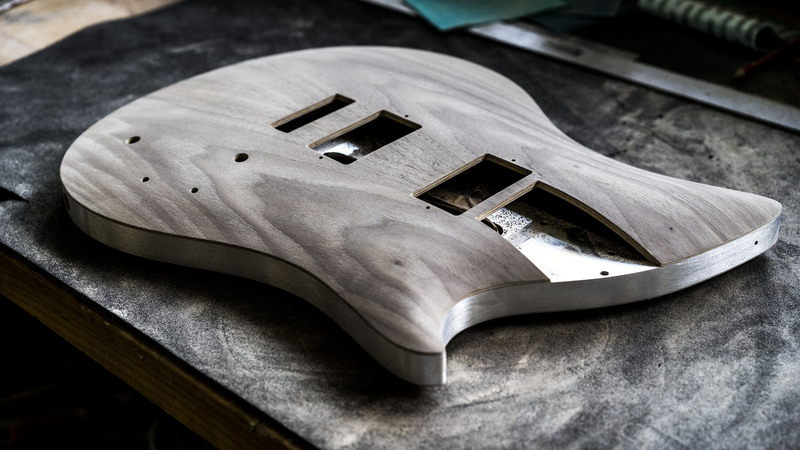 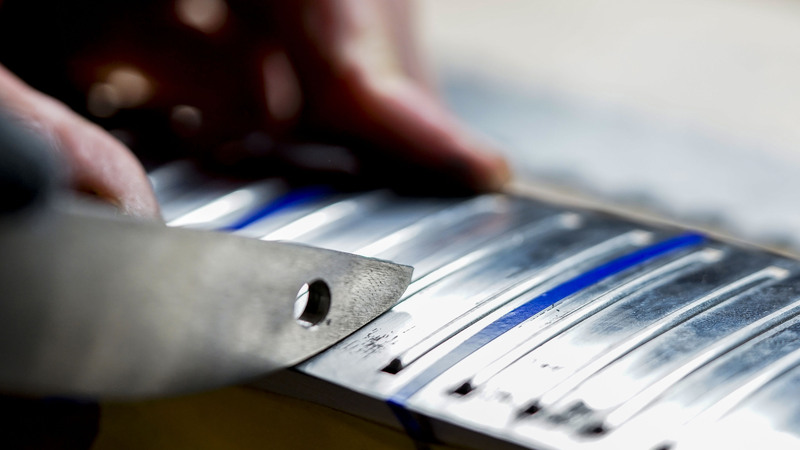 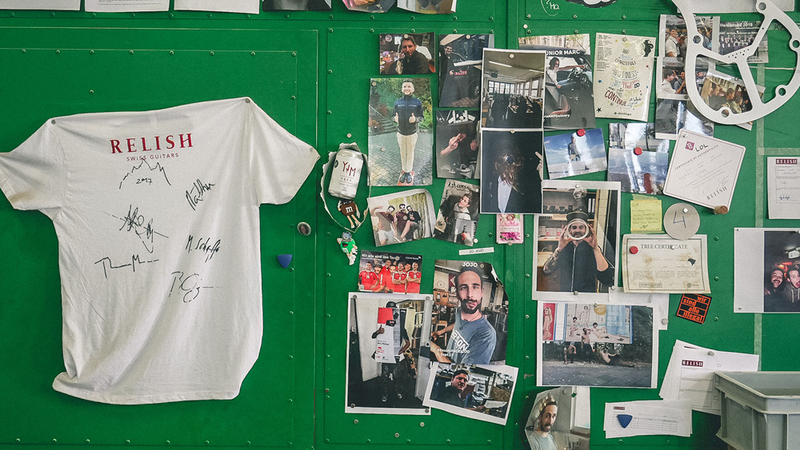 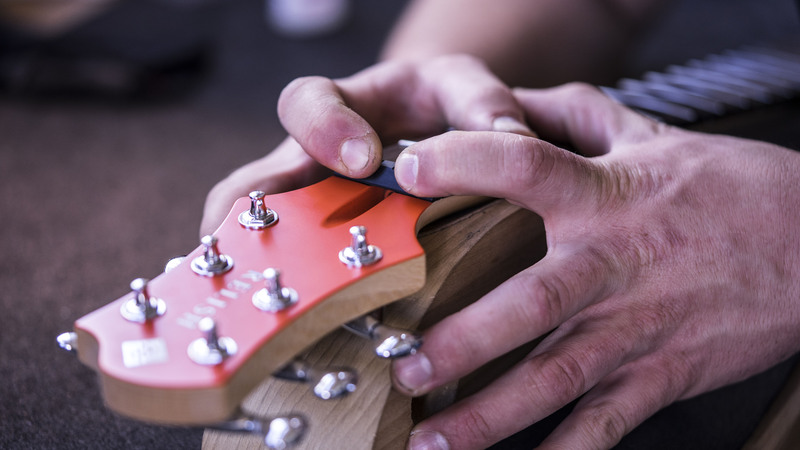 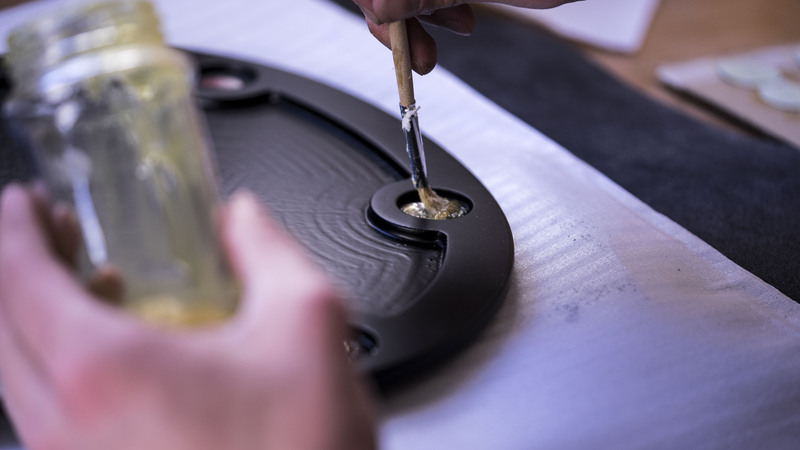 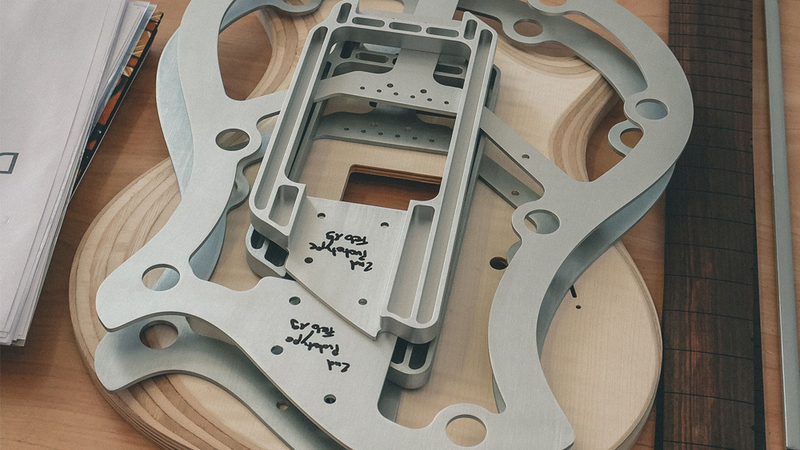 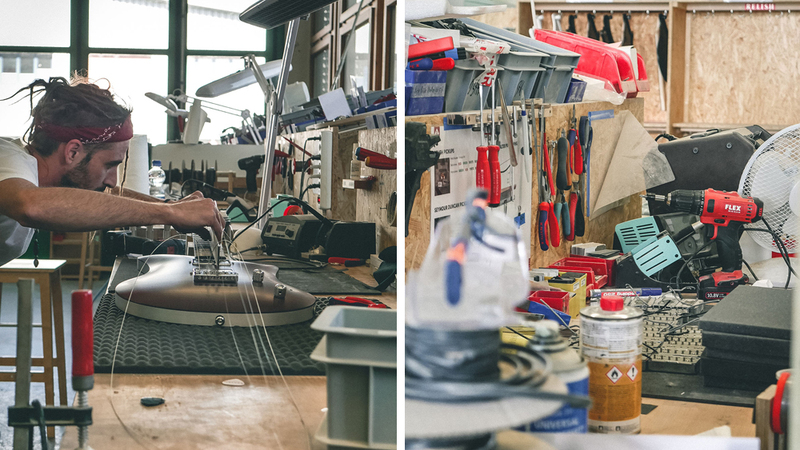 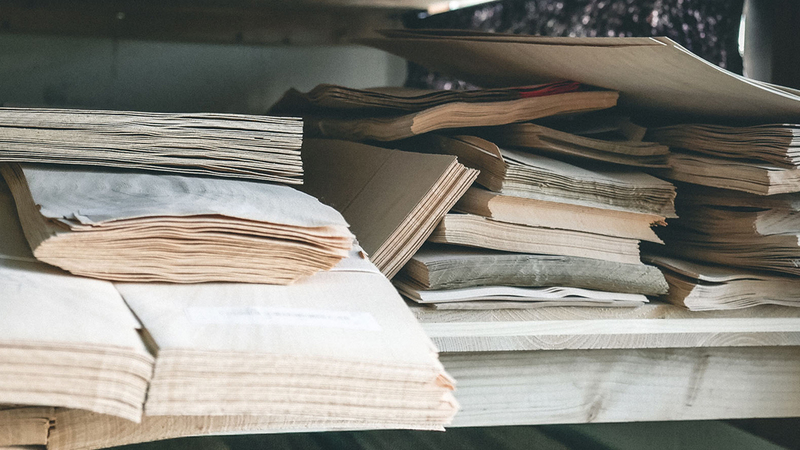 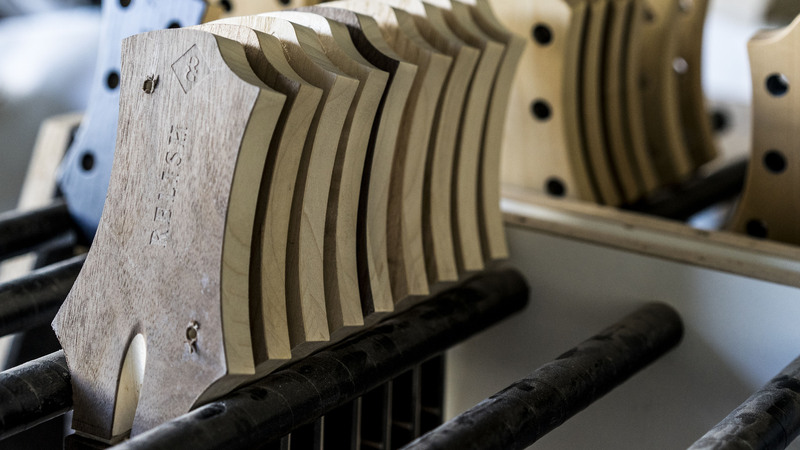 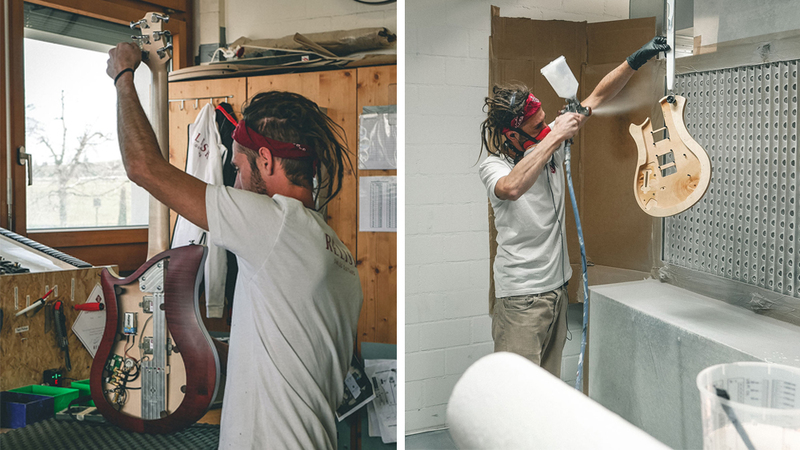 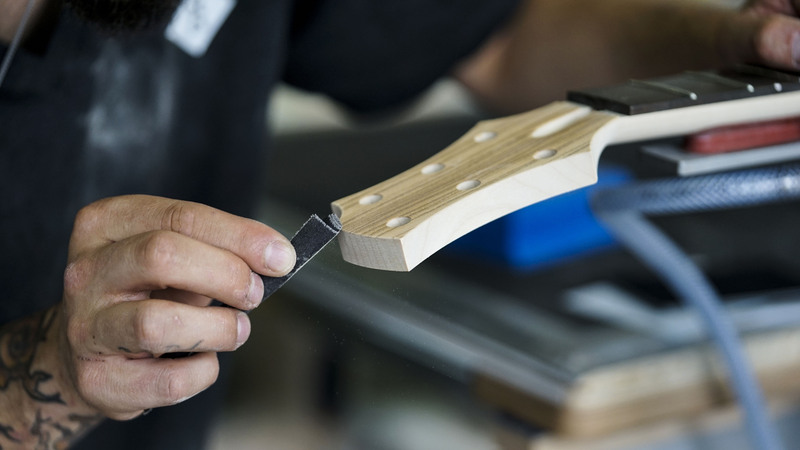 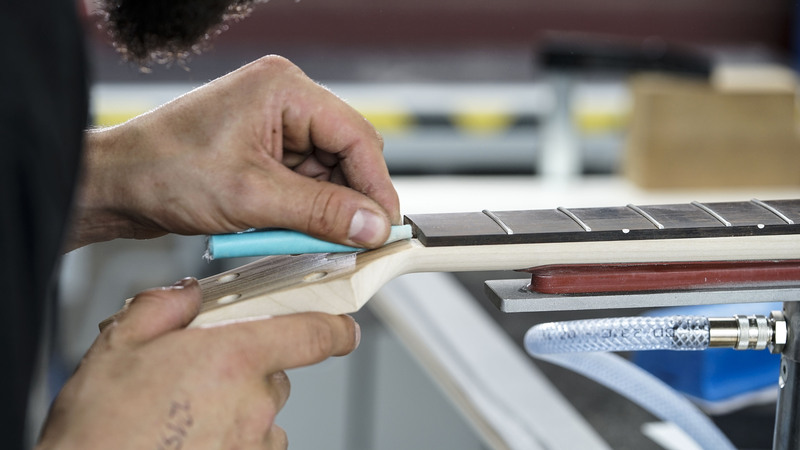 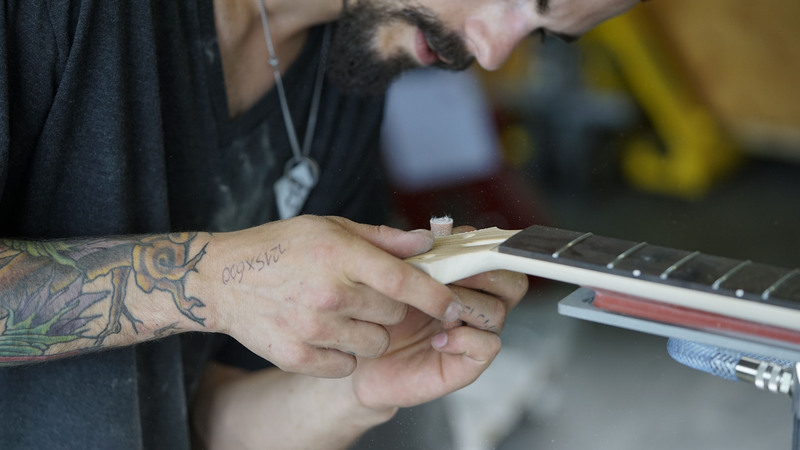 The Relish team, made up of just about 10 people, is driven by one desire: to offer great guitars made in Switzerland with traditional Swiss build-quality. 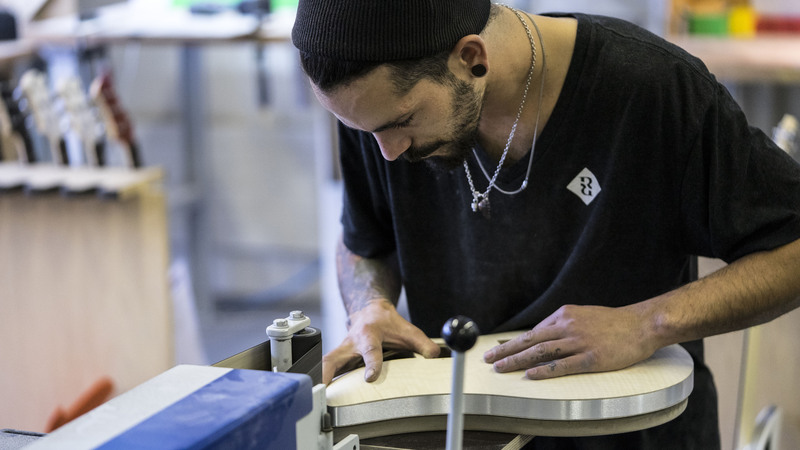 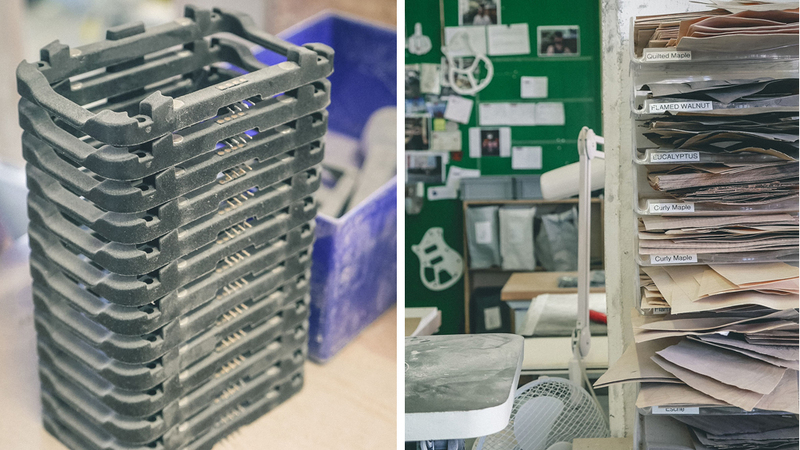 The heart of the business can be found at every work station, which are split between five zones: three for production and two for offices and the showroom. 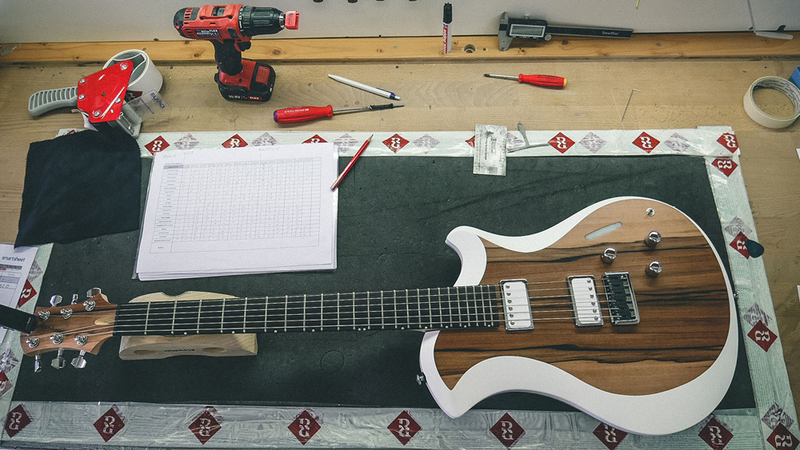 Check out the gallery from our tour below, and find more Relish Guitars on Reverb here.